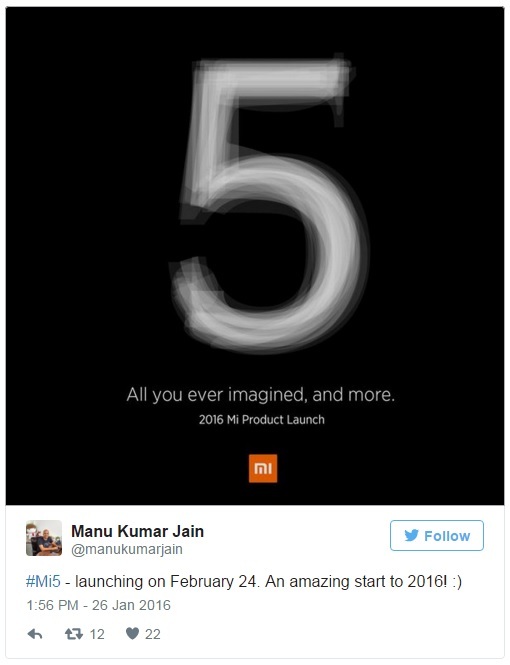 After several confirmations, leaks and expectations, the Xiaomi Mi 5 is now officially confirmed to be launched on February 24. 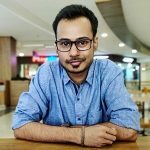 Last week Xiaomi’s Senior VP Liwan Jiang on his social media account said that the Mi 5 would be launched on February 24, and now, company’s India head too has confirmed the launch date. The image shared along with the tweet reads “All you ever imagined, and more. 2016 Mi Product Launch.” The Mi 5 launch event will be held at China National Convention Center on February 24 and will start at 2pm according to China’s time i.e., 11.30am IST. The launch event is not only restricted to media personnel, but also for the Mi Fans. Mi Fans can attend the launch event by buying the ticket for the event which is priced at ¥199 i.e., $30. The Xiaomi Mi 5 is also expected to come in four different variants, this is just another rumor, but again, you never know. Now that we have the official launch date, we can expect Xiaomi to reveal more details about the Mi 5 in the form of teasers.